I’ve put in quite a few hours at the archives since my last post. I don’t know if I am trying to get a lot done, or if I am just putting off my Master’s project. Hmm. 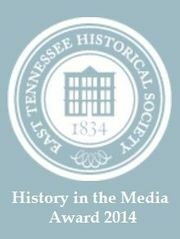 There are twelve series in the Spoden Collection. Series IX and X are by far the largest, so I started with them. Since I have been home from SLC, I have also finished Series VI, VII, VIII, and XI. 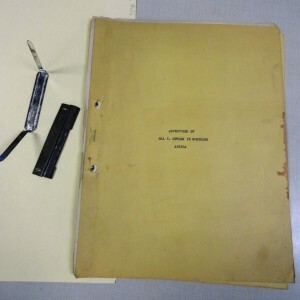 Series XI, the Spoden Personal Family Files has been my favorite so far. 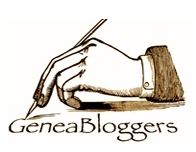 It is three boxes of genealogy, family photos, stories, and memorabilia. The family is considering retaining some of it, which is great for them but a shame for the Archives. In the mean time, I want to share with you my favorite item, so far. The 1941 album covers Mr. Spoden's time in Africa during his work for Pan American Airways Africa, Ltd. on behalf of the British war effort. The first step was to remove the very rusty metal enclosure. Then, when I opened the book, I realized that there was a long row of rusty staples, as well. Page one revealed a long row of rusty staples. Does Tennessee have a corner of the market on rust? When I turned the next page, I realized that the back of each typed page had photographs adhered to it with cellophane tape. The adhesive from the tape was seeping backward through the manuscript and also forward through the tape and onto the next page. 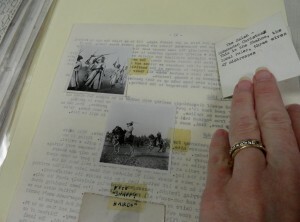 Because of the seeping adhesive, many of the pages were stuck together. I used a microspatula to separate the pages. This was very successful, but the pages were still sticky. I made the decision to put each page, including the covers, into individual archival sleeves. 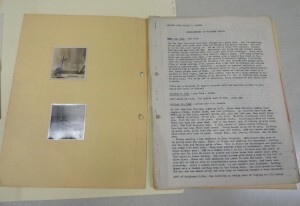 Some of the photos were only taped on one side so that they could be lifted to reveal typed captions on the back. I was able to remove the partially taped photos and put them in multi-sleeve photo pages. This is when a 4th floor conservation lab full of experts would really have come in handy! 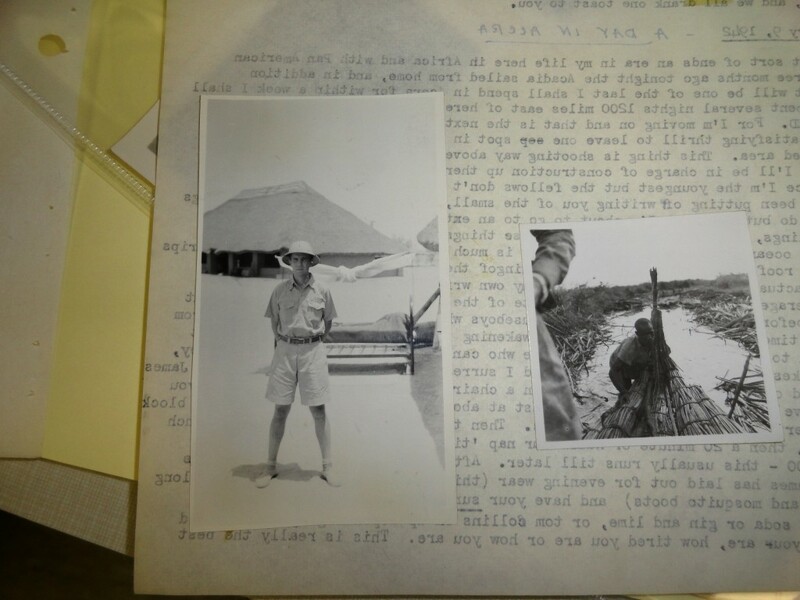 The text of the album was transcribed from Hal Spoden’s letters home. He hadn’t married Muriel, yet, so this is a neat memento of their long-distance courtship. Some of the photographs he sent home were really amazing. 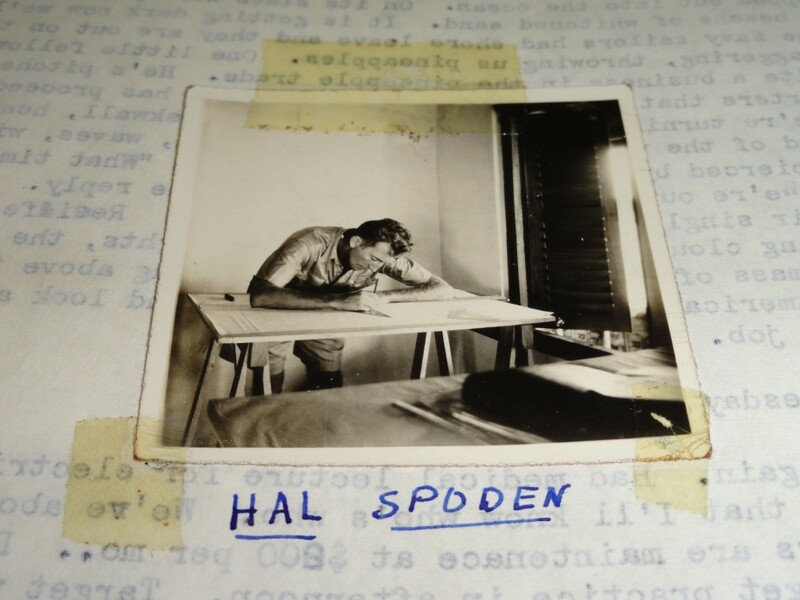 One of my favorite photographs shows Hal T. Spoden at his desk. This photograph foreshadows the amazing firm he would help found in Kingsport in 1956. 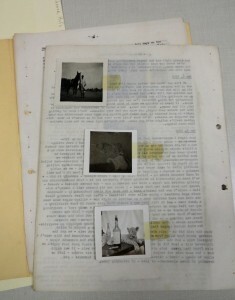 This entry was posted in Kingsport and tagged correspondence, microspatula, photograph, preservation, series. Bookmark the permalink.